So dang happy Christmas is just around the corner! Our house is nuts right now with my husband in the middle of his law finals, and me in the middle of my undergrad finals (with lots of cookie orders on top of that). Of course, it's always crazy at the Bowen house what with the 3 year old and 20 month old little boys tearing around. 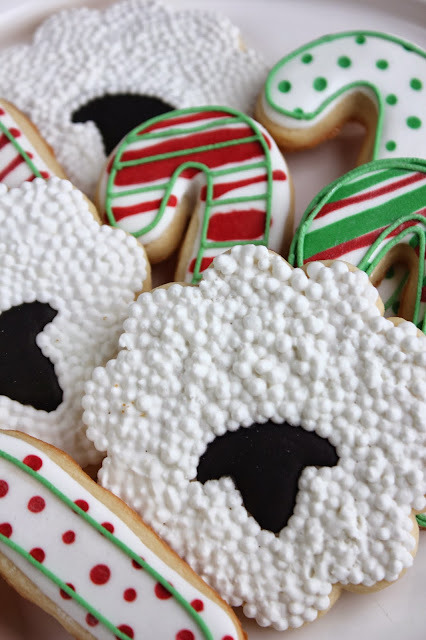 I hope to do at least one more tutorial for Christmas, but for now here is a very simple lamb cookie using a flower cutter. 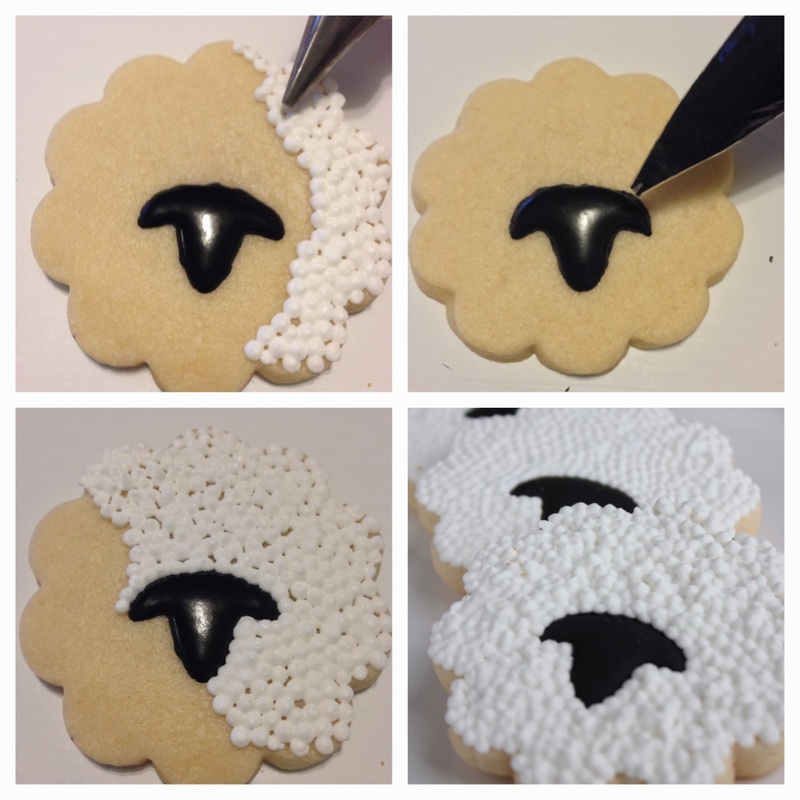 You could even do this in buttercream and add little eyes or a bow to the lamb. 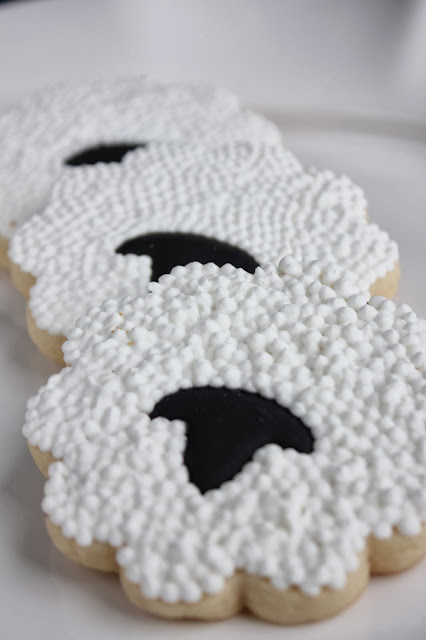 First fill in a little black head and ears right in the middle of your cookie. I didn't wait for mine to dry, but you can if you'd like. 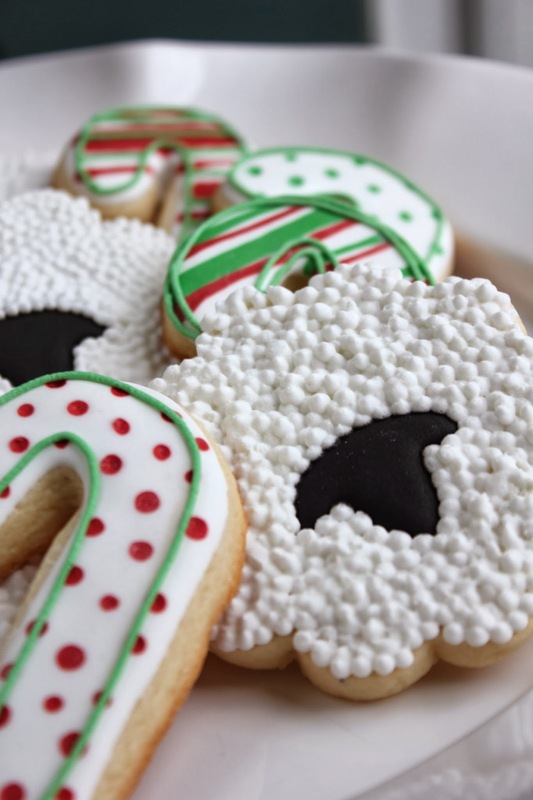 To start on the 'wool', just add small dots close together until eventually the entire cookie is filled in. Add more dots in any areas where the cookie is showing and voila! You've got your very simple lamb cookies (which go great with some very simple candy canes). 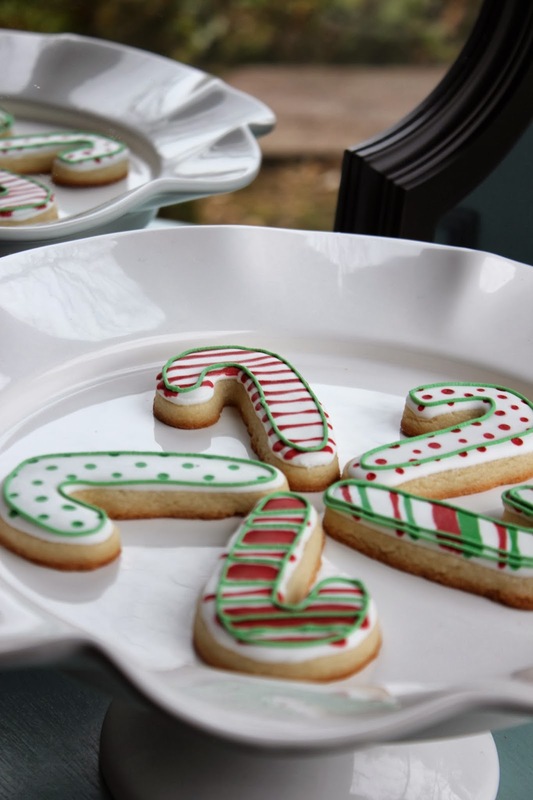 I love getting emails with questions and pictures of cookies you've made inspired by things on my blog! I love seeing others work and hearing their stories, so thank you to all of you who have sent me emails and left comments. As for tutorial requests, I will really try to get around to all of them as quickly as possible :) Just be patient with me!